Described as a linear holographic with a touch of gold. This one does not feel like a linear holo to me. 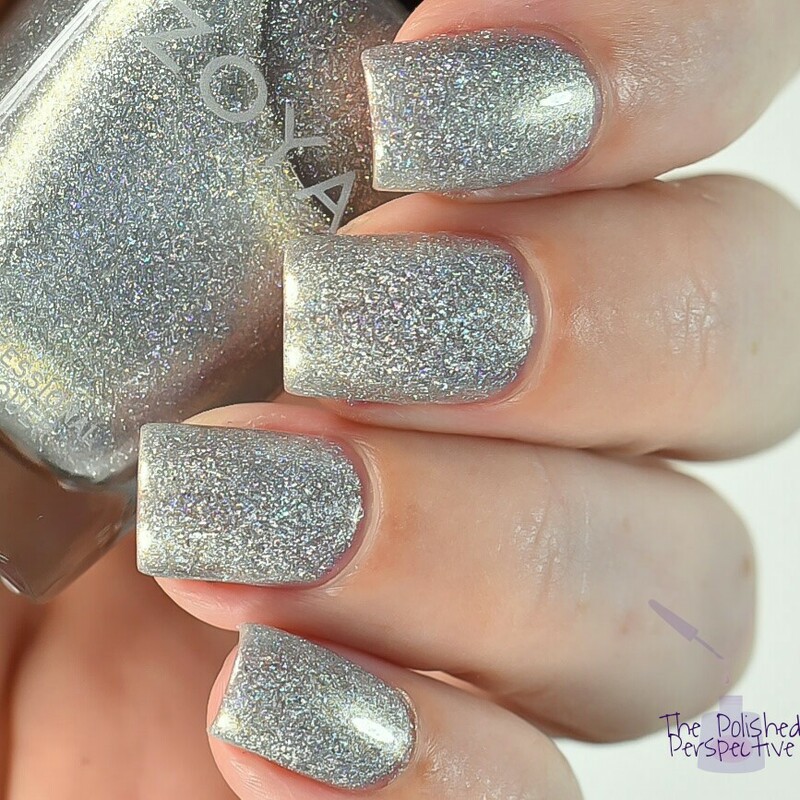 To me, it looks like a silver version of the other holos. It has a ton of the holo flecks in it and, in my world, a linear holo doesn't have flecks, just a rainow flame. I'm also not seeing the touch of gold. It's still insanely gorgeous, though. I got really, really excited when I pulled Alicia out of the box. 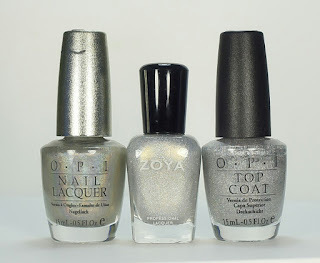 In the bottle, it looks just like OPI Paris Couture for Sure and that is my absolute favorite silver holo of all time. 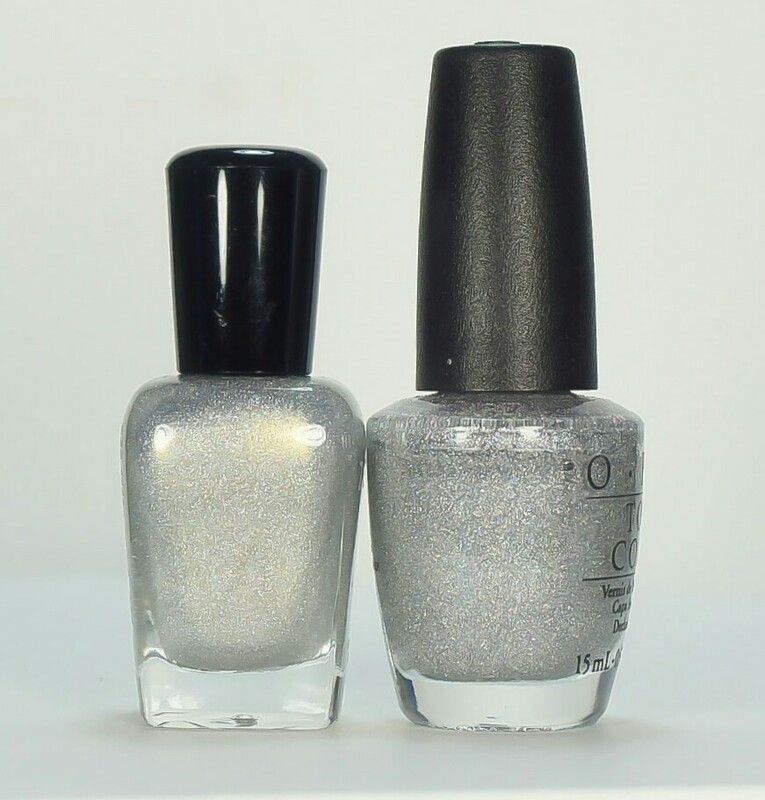 I also had to compare Alicia to another silver holo with a touch of gold I own, OPI Designer Series Shimmer. 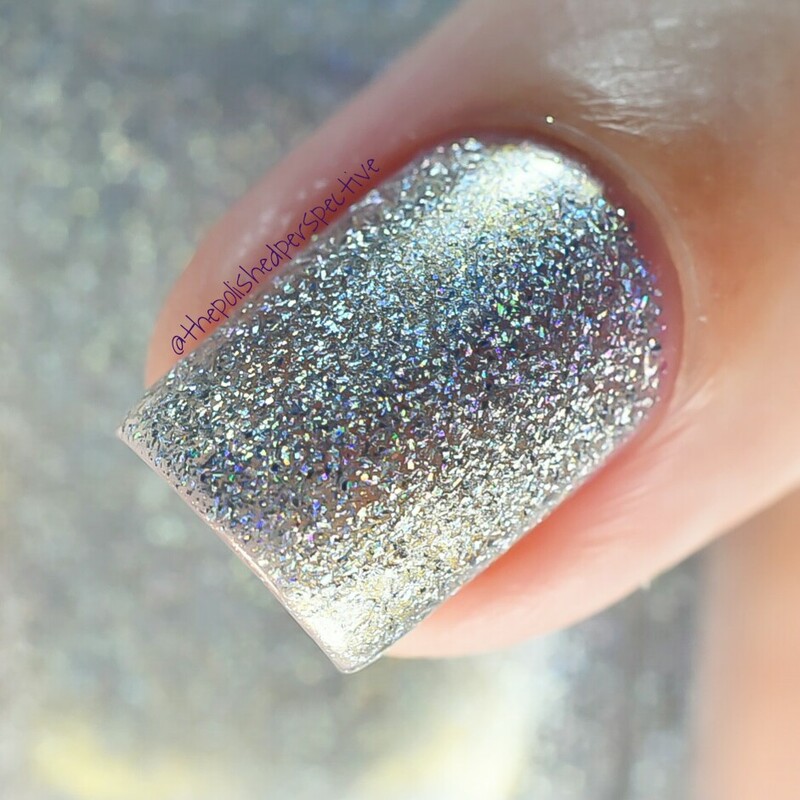 It's hard to tell by this picture, but OPI DS Shimmer is a true linear holo and doesn't contain any of the holo flecks Alicia and PCFS does, so I didn't need to compare those on the nail. Side by side, you can't even tell these apart. However, on the nail, PCFS has a more intense holo feel than Alicia. 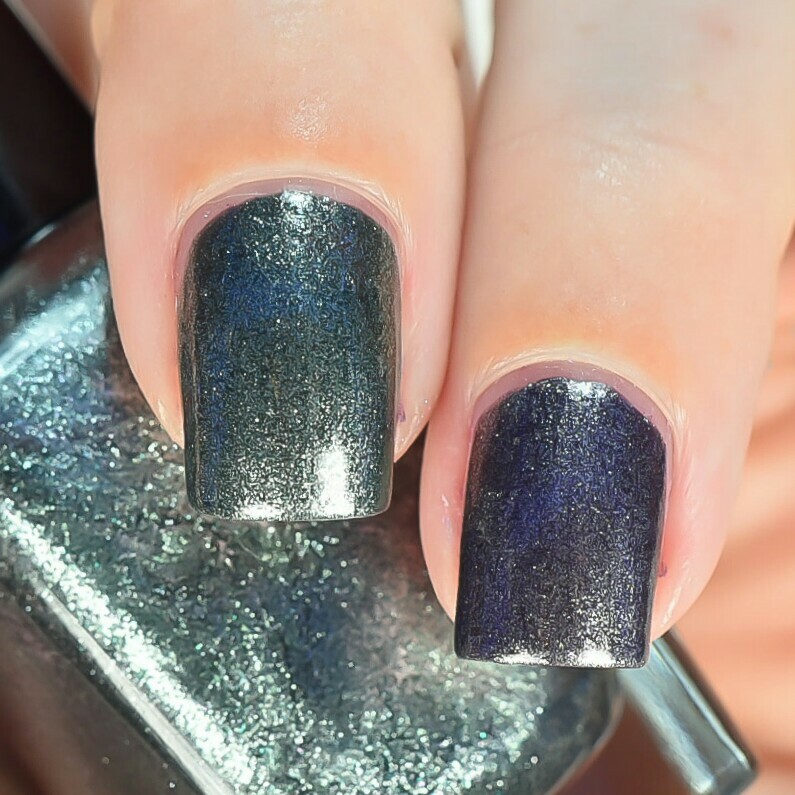 My swatches of both are shown in three coats and PCFS covers just a tiny bit better. Are these dupes? Not quite, but really close! Plus the last time I looked, OPI PCFS was listed at $40 on EBay. So, Alicia is a good alternative, especially since it's a five free formula and PCFS is a really old formula with all the bad chemicals in it. Described as a liquid pewter with a foil finish and an edgy touch of black and gold. 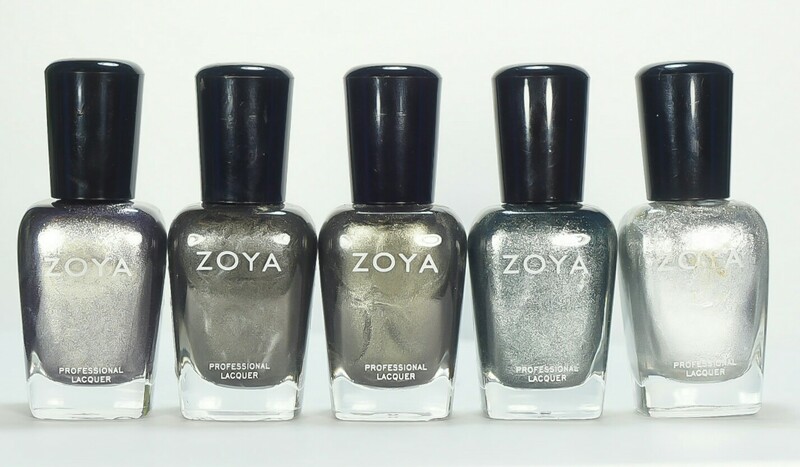 I have a bunch of pewter type Zoyas! From left to right: Troy, Claudine, Tris, Cassedy, Trixie. In the bottle, Troy and Cassedy looked the most alike. On the nail, Troy is a slightly more deeper shade. Cassedy is on my middle finger and Troy is on my ring. 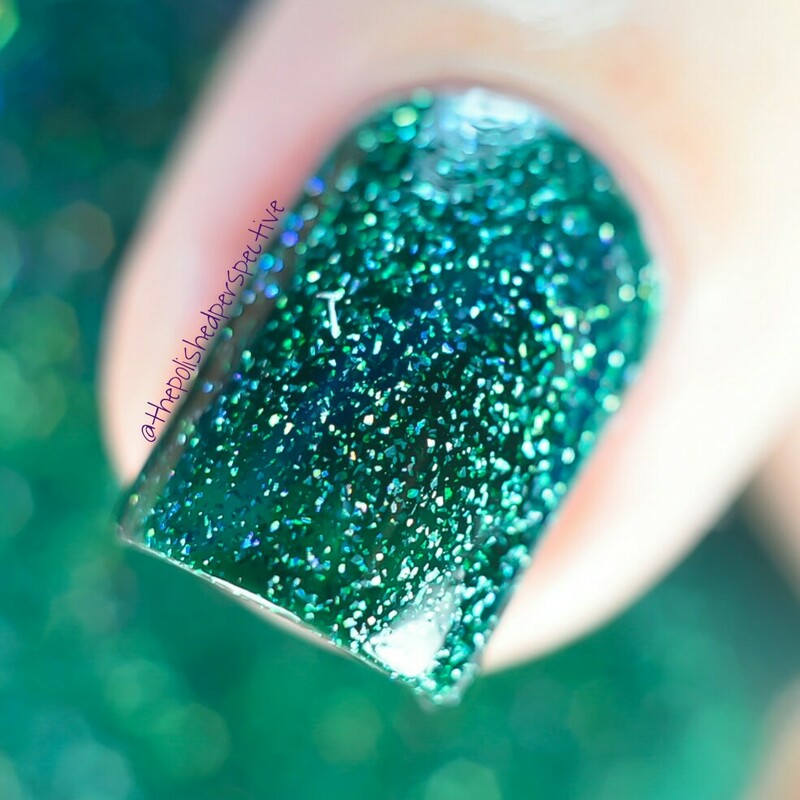 Described as a brilliant lush evergreen scattered holo. 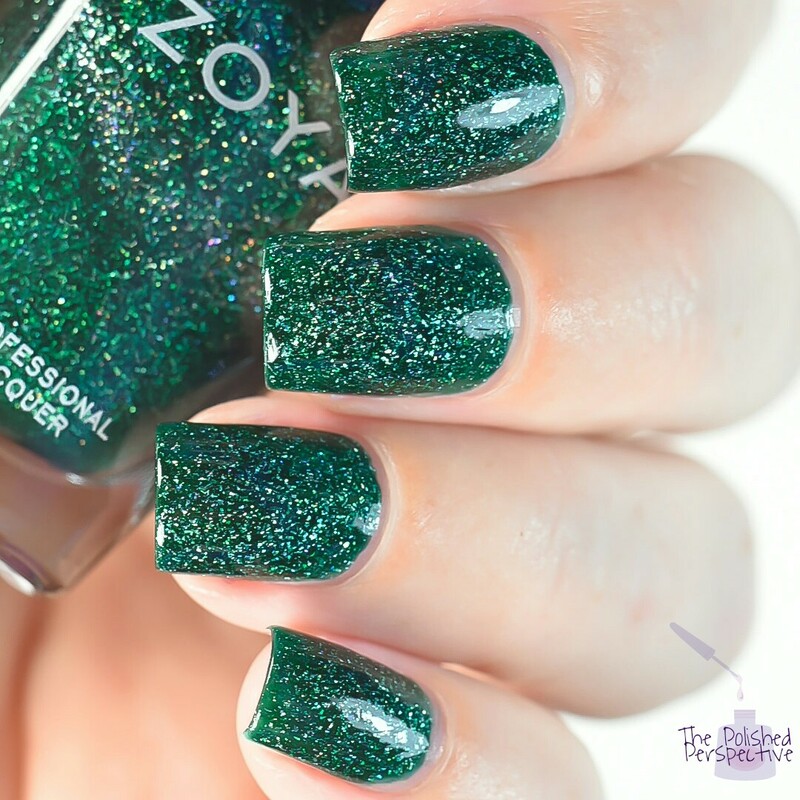 I love, love, love this green! The formula is a lot like the older scattered holos. My swatch is shown in two coats plus top coat. 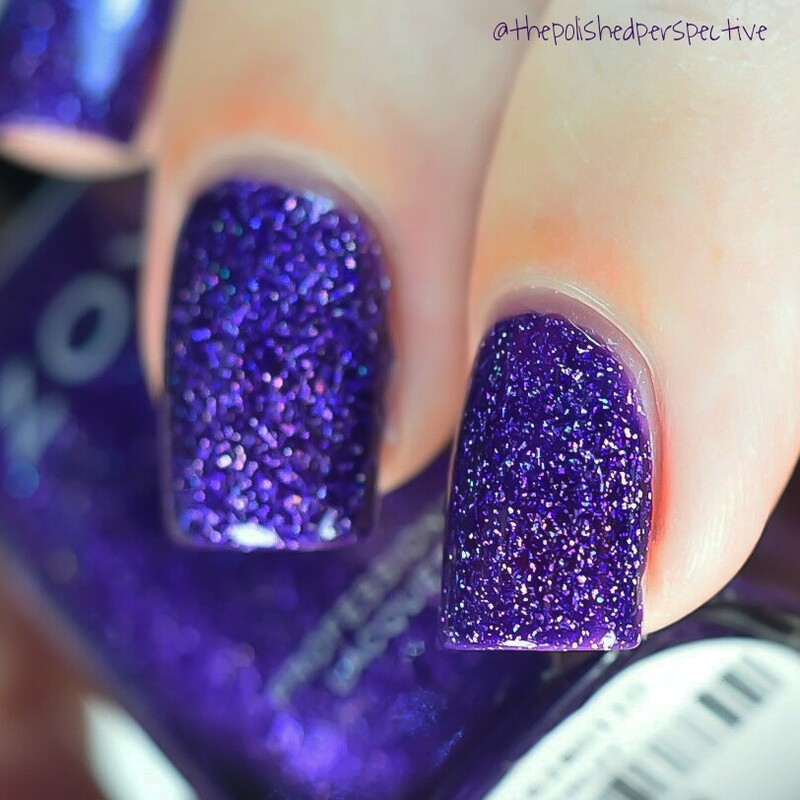 Described as a deep royal purple scattered holo. This one is a bit thicker than Merida but not too thick. My swatch is shown in two coats plus top coat. 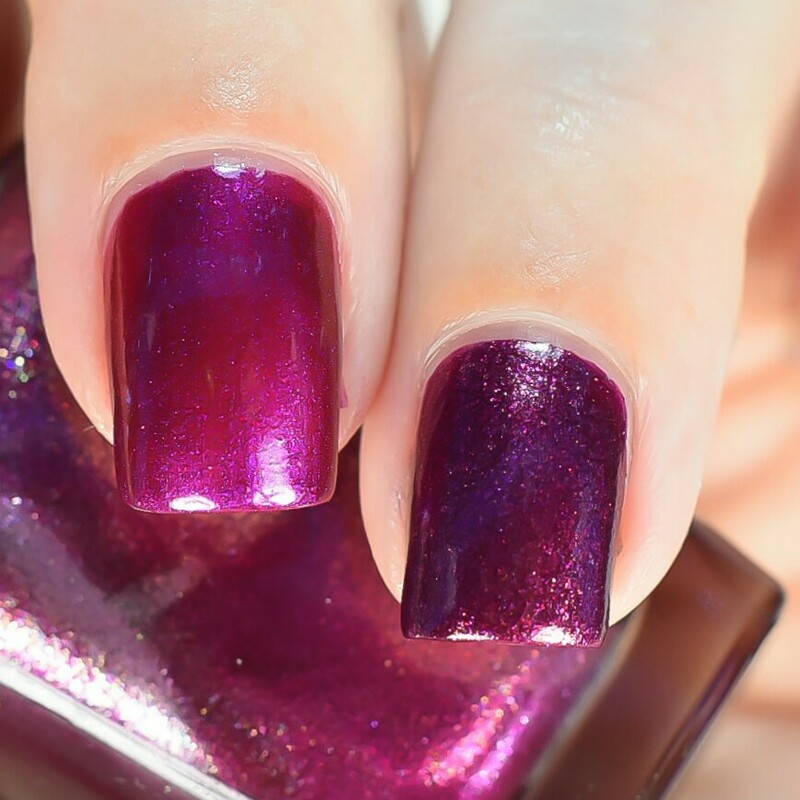 Compared to Zoya Aurora, Finley is on the other end of purples. On a color wheel, Aurora would be closer to red and Finley would be closer to blue. From left to right: Finley and Aurora. Described as a berry metallic with a red and purple, fuschia flash. This could be applied in one coat, which I did for my initial swatch, but then I decided it was more true to bottle color with two coats. This swatch is two coats plus top coat. From left to right: Britta, Mason, Yasmeen, Suri, Belinda. In the bottle, Britta and Mason looked the most alike....kinda. Maybe, I just wanted an excuse to use Mason again because I lurve that one. Middle is Mason and ring is Britta (which has more of a deeper blackberry look). 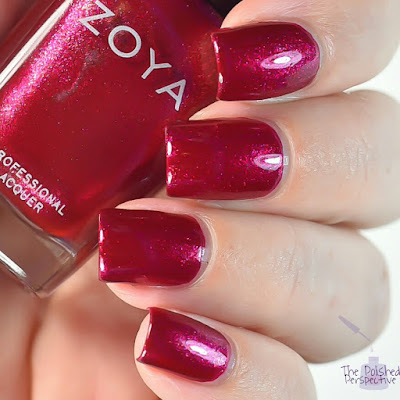 Described as a vibrant cherry with a red and gold metallic shimmer. Just like Britta, this can be applied in one coat, but I felt the second coat gave it a deeper shade. I didn't really have any metallics like this red, but here's a few comparisons anyway because I like digging through my Zoyas. 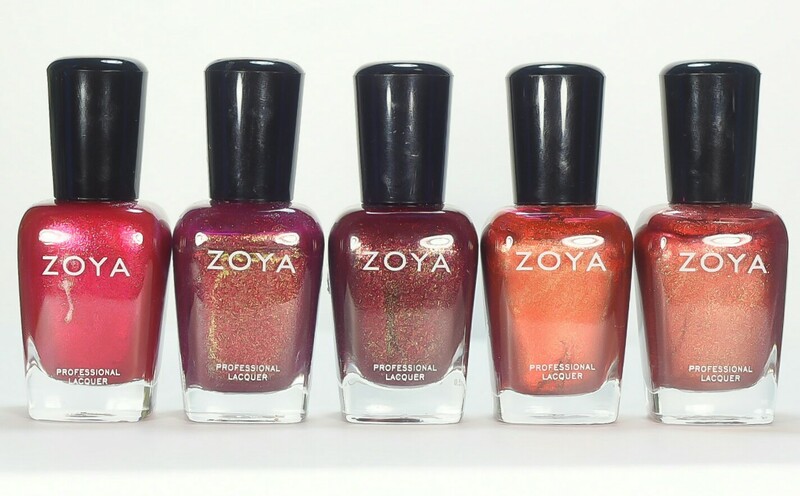 From left to right: Ash, Teigan (one of my favorite fall metallics ever), India, Channing, Autumn. This is such a great collection. 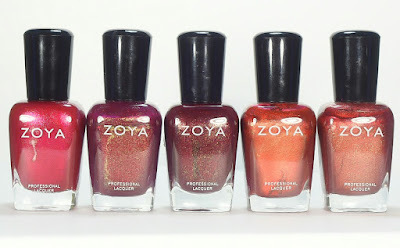 I wasn't disappointed with any of the metallics, holos or creams. 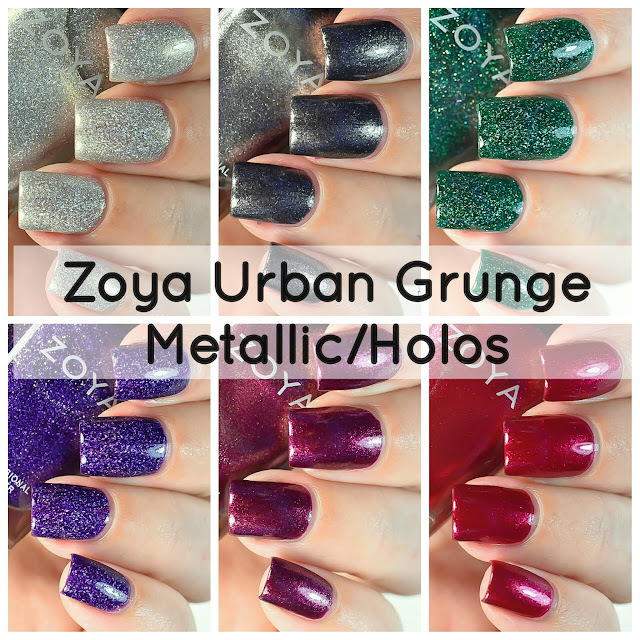 Make sure you take a look at my review of the Zoya Urban Grunge Creams! Check out my other Zoya Holo post that has all the other scattered holos (minus storm). 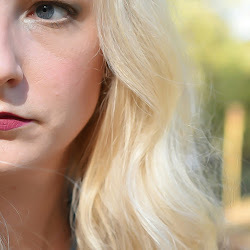 Fantastic swatches and comparisons!! PCFS is a fave OPI of mine. Thanks for comparing the two! Great review! I love all of these! I love that you added comparisons. I have to admit that I feel overwhelmed with all the Zoya posts that come out whenever a new collection launches, so I feel like the comparisons add such a different element. This is a great comparison post! Glad to see most are unique!